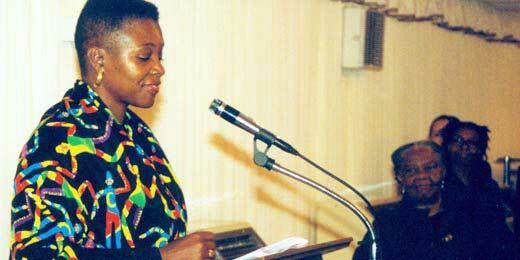 Baroness Amos was the first black woman cabinet minister and joint first black woman peer, and Leader of the House of Lords, the third woman in history to lead the upper house of Parliament. This flag documents a prominent moment in British history. On 22nd June 1948, the Empire Windrush docked at Tilbury in Essex. On board were 492 pioneers. Their names make up this flag. 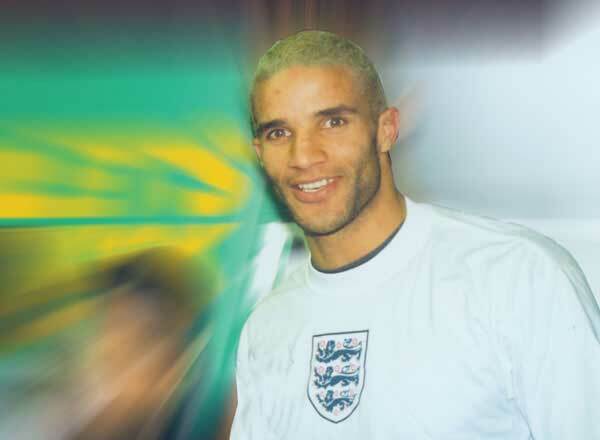 David James, goalkeeper Portsmouth FC and England. This flag encapsulates African and Afro Caribbean history in the UK by listing the names of some personalities from the 17th century to the present day. Earliest evidence of African people in Roman Britain. European trade in African slaves begins. "Certain black slaves" arrive from Africa, This marked the beginning of continuous Black presence in London. Elizabeth I orders a first decree to mayors and sheriffs throughout the country to expel a tiny black population of runaway slaves. Elizabeth I orders a second decree to Lord Mayor of London to expel a tiny black population of runaway slaves. About 15,000 black people lived in London. Ignatius Sancho is born on board a slave ship. Later became writer and businessman. Olaudah Equiano, author, abolitionist, sailor, and former slave, is born in Nigeria. Black Londoners number 10,000-15,000 of the nation's 20,000 black people. Mounting black response to slavery through covert means, resistance and flight. Notable Black activists are: Oluadah Equiano, Ignatius Sancho, and Ottobah Cugoano. Movements among Britons to demand black freedom from slavery. Supporters include workers and urban poor who themselves suffered under the ruling classes of the day. The letters of the Late Ignatius Sancho are published. Ottobah Cuguano publishes "Thoughts and Sentiments on the Evil and Wicked Traffic of the Commerce of the Human Species", the first directly abolitionist publication in English by an African. Publication of the memoirs of Equiano, the chief Black spokesman of Britain's	Black community, "The Interesting Narratives of the Life of Olaudah Equiano”. West India Dock opens in the Port of London, initially dealing solely with the produce from the West Indies. The 'Act to Abolish the Transatlantic Slave Trade' is passed in Parliament. 'Slavery Abolition Act' is passed in Parliament, taking effect in 1834. This act gives all slaves in the Caribbean their freedom although some other British territories have to wait longer. 'Wonderful Adventures of Mrs Seacole in Many Lands' published. Andrew Watson became the world's first black association football player to play at international level. He was capped three times for Scotland between 1881 and 1882 and considered one of the top ten most	important players of the 19th century. Dr Harold Moody travels from Jamaica to London to study medicine at King's College. Black populations grow, especially in former slave trade ports such as Liverpool and Bristol. Henry Sylvester Williams organised the world's first ever pan-African conference. John Archer elected as Mayor in Battersea - the first	black man to become a Mayor in Britain. Walter Tull becomes first black combat officer in the British army and is recommended for a Military Cross. African Progress Union formed in London under the Presidency of John Richard Archer,former mayor of Battersea. Race riots break out in a number of port cities including Cardiff and Liverpool Charles Wooton is murdered by a white mob. Paul Robeson plays Othello at the Savoy Theatre. Dr. Harold Moody founded the League of Coloured Peoples. David Pitt travels from Grenada to Britain to study medicine at Edinburgh University. CLR James pubishes The Black Jacobins. 300 West Indians are enlisted in RAF for air crews, 5,500 for ground duties. SS Empire Windrush arrives at Tilbury, Essex bringing 492 pioneers. Thousands of Jamaicans, Barbadians and Trinidadians arrive for work in response to	recruitment drives by the British government. Claudia Jones deported from the US and given asylum in England. Founder of Britain's first black weekly newspaper "The Westindian Gazette", she was also instrumental in helping to launch the Notting Hill Carnival. Bill Moris joines the Transport and General Workers Union. Race riots in Notting Hill, London and Nottingham. E.R. Braithwaite's first book To Sir With Love, is published. First Race Relations Act passed – first law against racism. Enoch Powell calls for an end to immigration in his infamous ‘Rivers of Blood' speech. A new Commonwealth Immigrants Act passed – condemned as "racist, inhuman and degrading” by the European Human Rights Commission in Strasbourg. Trevor McDonald moves to London from Trinidad to work for BBC radio. Black community-based groups are set up across the country to campaign	against racist attacks on the streets. Immigration Act passed – provokes biggest anti-racist demonstration in Britain. New Race Relations Act passed – makes racial discrimination	unlawful in many circumstances. Commission for Racial Equality	formed to enforce it. Black	youths fight police at end of Notting Hill Carnival. Trevor Phillips became the first black president of the National Union of Students. Janet Kay became the first British born black female to have reggae song at the top of the British charts. Race riots erupt in inner cities as black communities protest against ill treatment by the police. Val McCalla started the weekly newspaper "The Voice", founded "Black Britain" and	"The Weekly Journal". ‘Race' riots erupt in inner cities as black communities protest against ill treatment by the police. Historic election to the House of Common of three Black Members of Parliament. Dianne Abbott, Paul Boateng and Bernie Grant. Lenford Garrison set up the Afro-Caribbean Family and Friends (ACFF) Education and Culture Centre in Nottingham. Patrick Berry becomes Managing Director of Choice FM. Black Londoners numbered half a million people in the 1991 census, of which an increasing proportion were London- or British-born. Ben Okri awarded the Booker Prize for Fiction for his novel The Famished Road. Stephen Lawrence is murdered in south London. The Stephen Lawrence enquiry starts. Herman Ouseley became the executive chairman of the Commission for Racial Equality. Baroness Valerie Amos made a life peer. Report of the Stephen Lawrence inquiry published. Concept of institutional racism accepted. Lennox Lewis became the first British undisputed heavyweight champion unifying the IBF, WBA and WBC titles since Bob Fitzsimmon for 100 years. New race relations laws passed – all public authorities are responsible for tackling racism. David Lammy elected Member of Parliament for Tottenham, following the death of Bernie Grant. Malika Booker co-produces a poetry film to commemorate the Royal Festival Hall's 50th Birthday Celebrations. Brendon Batson became Managing Director of West Bromwich. Mary Seacole voted winner of the 100 Great Black Britons. Mike Fuller became Britain's first black Chief Constable. A statue of Nelson Mandela was unveiled at Parliament Square. Talking to crowds who gathered for the unveiling, Mr Mandela said: "Though this statue is of one man, it should in actual fact symbolise all of those who have resisted oppression, especially in my country." Paul Ince became the first Black English manager in Premiere League football.